Sold by Nomader EU and Fulfilled by Amazon. Gift-wrap available. Sold by Nomader EU and sent from Amazon Fulfillment. Sold by SwimCell and sent from Amazon Fulfillment. 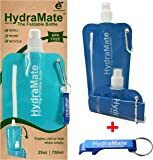 HydraMate FOLDABLE WATER BOTTLE - BPA Free. 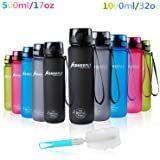 Collapsible 26oz/750ml Lightweight, Soft, Squeezable, Eco-Friendly Folding Bottle for Travel. Sports Cap, Hygienic Safety Lid. Refillable. Carabiner Clip. 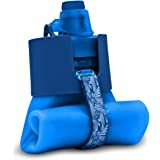 Nomader Collapsible Water Bottles make on-the-go hydration easy and enjoyable for your travels and active lifestyle. 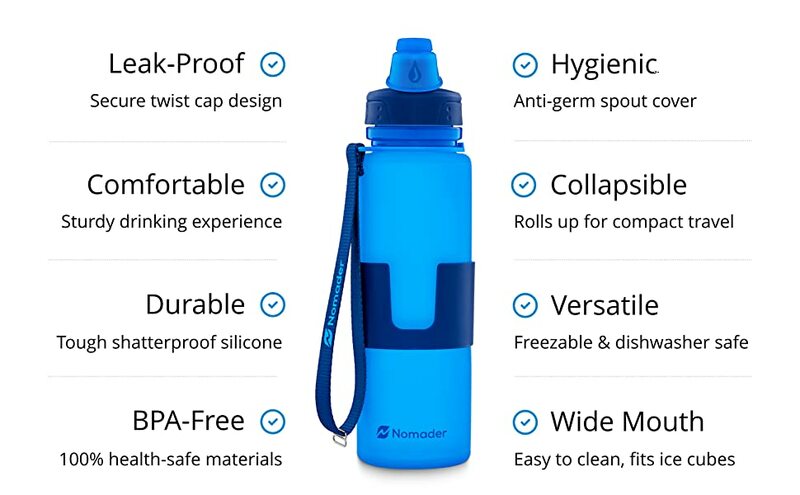 Nomader (no-mad-er) was founded by Bryan, an avid traveler, who after 8 months of continuous international travel through dozens of airports and cities, became frustrated with poor performing reusable water bottles that were ill-equipped to support such an adventure. 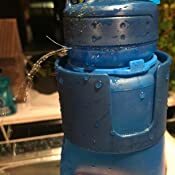 Determined to solve the challenge, Bryan set out to create an ideal water bottle, designed to meet the unique needs of travelers and adventurers. 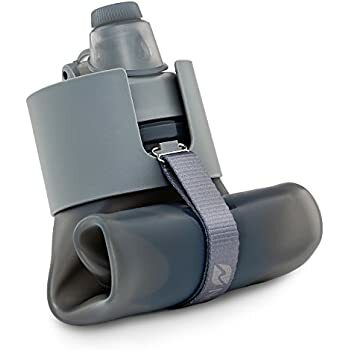 Meet the Nomader Collapsible Water Bottle! 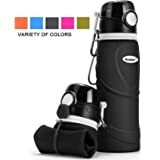 Launched in December 2015, the Nomader has become a top selling hydration companion, not only for travel, but for everyday activities such as hiking, camping, commuting, exercise, road trips, outdoor events, and school. 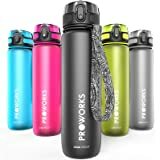 Made of thick and flexible BPA-free silicone, the reusable Nomader water bottle maintains its sturdy feel for a comfortable drinking experience, yet it conveniently rolls up or squashes down when space is tight. 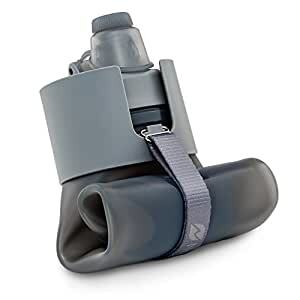 Attached multi-function strap secures the flask in its folded position and makes it easy to carry when you're on-the-go. Foldable for traveling, hiking, and camping. Easy to lug around with ergonomic carry strap. 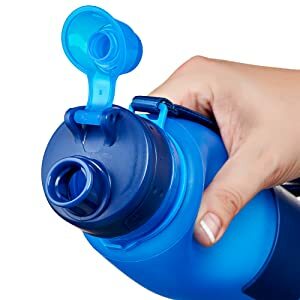 Won't collapse in your hand while drinking from it. 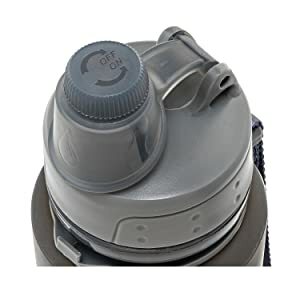 The patented screw cap design ensures a secure, airtight seal when closed and controlled intake when open. 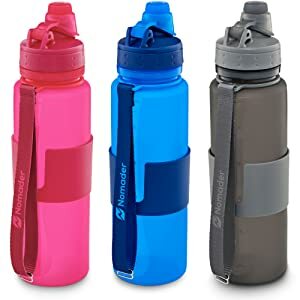 In between sips, the hinged cap doubles as a hygienic spout cover, preventing germs from getting onto the mouth piece and into your drink--handy for when traveling, spending time outdoors, at the gym, or for kids at school. 100% leak-proof design to prevent annoying spills. Hygienic spout cover keeps out grime and germs. Wide mouth lid makes it easy to add ice and clean. The Nomader bottle was designed and rigorously tested for health conscious consumers. Made of all food-grade materials, free of BPA, BPS, lead, phthalates and other leaching chemicals. Designed with unique features and vibrant colors, the Nomader was crafted to look as good as it performs. Available in a variety of colors, making great gifts for friends, family and co-workers. Built for ruggedness, the Nomader bottle is safe for hot drinks and to freeze. 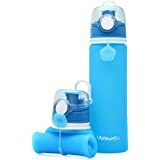 The bottle's body is made of shatterproof silicone, making it tough enough to survive those accidental drops. 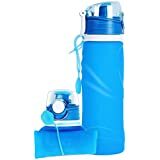 FOLDABLE WATER BOTTLE - BPA Free. 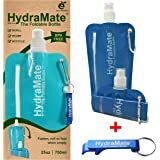 Collapsible 26oz/750ml Lightweight, Soft, Squeezable, Eco-Friendly Folding Bottle for Travel. Sports Cap, Hygienic Safety Lid. Refillable. Carabiner Clip. 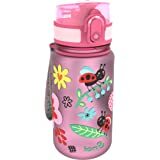 Very good design, it remains stable when drinking from it, and packs up to store. 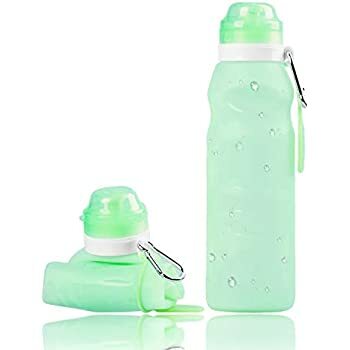 It's very light, so it doesn't feel much of a burden to carry if you're trying to break the habit of using disposable plastic bottles. 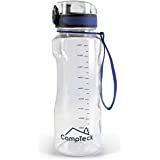 The cap secures tightly and hasn't leaked at all, and is a good width to drink from. Usefully, it can also hold hot water, which was great on a recent freezing cold scuba trip. On my downside is that now after several weeks of use, it makes the water taste rubbery. I've tried rinsing it and soaking it overnight but nothing has helped. Would probably be fine for flavoured drinks though. Just what I was looking for. 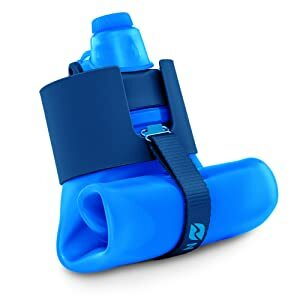 If I'm going to the gym or doing roller derby my bag is usually full to bursting, so being able to roll this bottle up and fill it once I'm at a water fountain has been great. 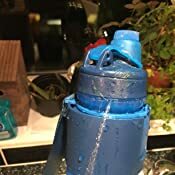 It's very flexible so have had a few mishaps attempting to replace the lid after filling it up, but the very top of the bottle is sturdy enough to grip when screwing the lid back on. The only slight annoyance I've had is that the securing strap is a little too long. If I rolled mine up as tight as the one in the product pictures it would fall right off and the bottle would unravel. This just means I roll it a little looser than that and don't squeeze all the air out. Hardly a downside, but possibly worth mentioning. It still gets 5 stars from me. 2.0 out of 5 starsCan’t get rid of the plastic taste. Just couldn’t get the plastic taste out of it despite washing out as instructed and soaking .... rolls up but quite hard work to get the fastening done up. I much prefer my clear rigid one. 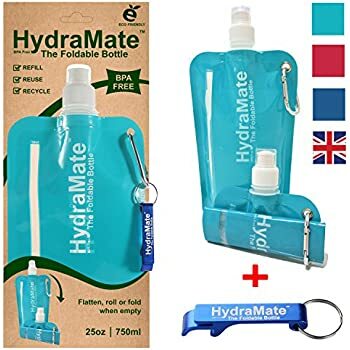 Very sturdy..I take to work and back empty in lunch bag, and fill it up when out and about on road,so is a lot more practical than carrying a full water bottle and lunch bag separately, have used only for water so far, there is no odour to this bottle and seems easy to keep clean...happy with purchase. 5.0 out of 5 starsReally impressed! 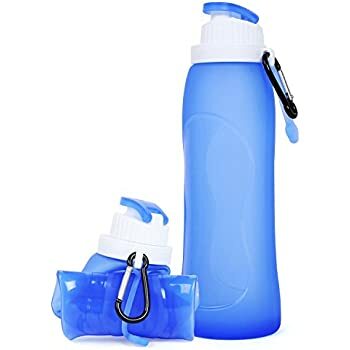 I love hiking and *hate* carrying heavy bottles of water! 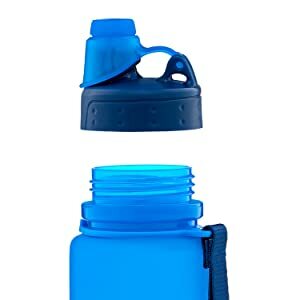 This bottle is light and folds perfectly into a tiny space. 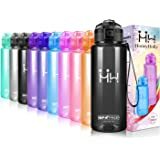 I can take it with me without having to carry a bulky bottle and the volume is large enough for a couple of hours of hiking. Love it! 2.0 out of 5 starsGreat product but bad taste. Excellent size and feel, easy to fold up. Only bad thing is that the water always tastes like plastic chemicals. Tried all washing and cleaning reccomended on instructions but the bad taste just doesn't go away.